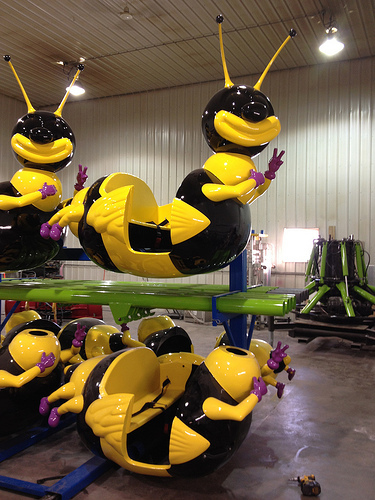 Remember Coney Island’s Bumble Bees? The popular kiddie ride in McCullough’s Kiddie Park left its spot on the Bowery when the family closed their park in 2012 after being unable to extend the lease. In April, the Bees will once again be awhirl after finding a wonderful new home in Canada. Mills, whose family-run carnival operates from mid-April through the end of September in Manitoba and Ontario, sent us photos of the rehab. “There is a picture of the beginning of the make over and the rest are showing the painting of the last two as well as the new sweeps, all new hydraulics, electrical and complete body work, which alone for the Bees is about 400 man hours. We have put approximately $30,000 into this project so far,” says Mills, who promises to send more photos once the redo is completed and the ride is set up. 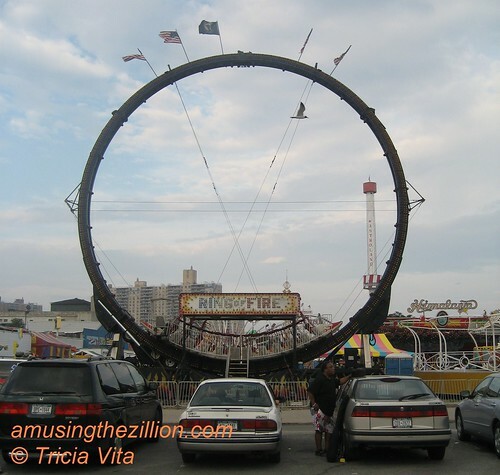 He has put up a page on the show’s website about the history of the ride, which survived Hurricane Sandy. 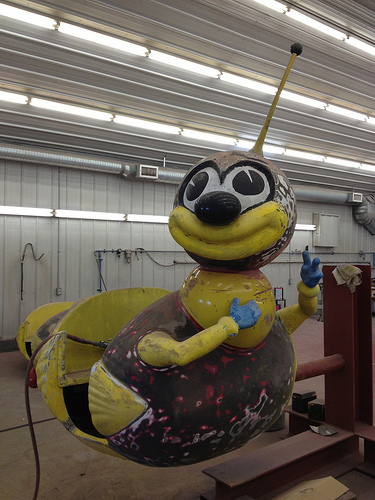 SO happy to see the Bees lovingly restored and ready to begin their new life on the road! 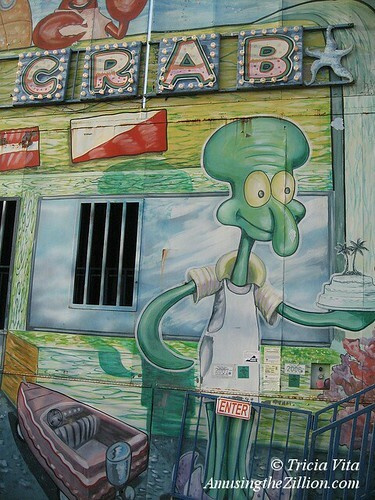 The McCullough family operated amusements in Coney Island for four generations and their kiddie park had been on 12th Street and the Bowery since the 1960s. 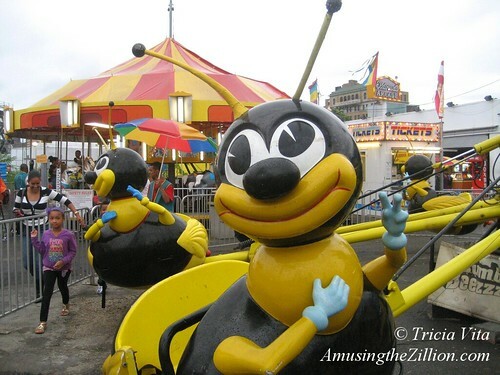 The often-photographed Bumble Bee ride was emblematic of Coney Island and frequently photographed with the Wonder Wheel or Parachute Jump in the background. When Astroland closed in 2008, some photographers’ captions said it was the end of the Bees because they did not realize the ride was part of a different park. 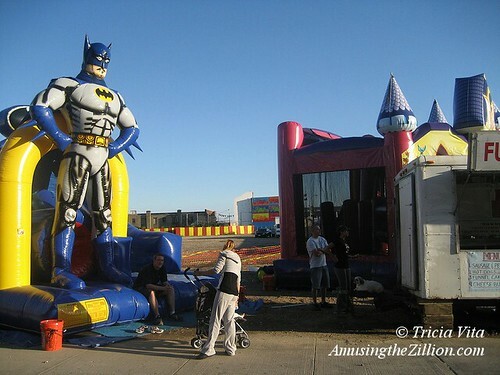 On Flickr we posted: Please note the Bumblebee ride on the Bowery and the kiddie rides surrounding it are NOT part of Astroland. 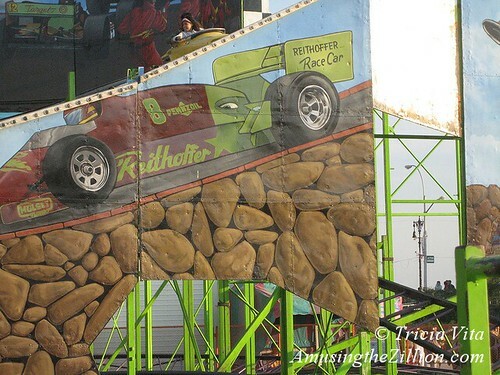 McCullough’s Kiddie Park has 12 kiddie rides and is open for the 2009 season. The McCullough family is related to the Tilyous and have owned and operated rides in Coney Island for many years and we hope many years to come! The ride’s trademark name Bumble Bee Bop was first used in 2001. This aerial kiddie carousel was designed and manufactured by Sellner, the inventor of the Tilt-A-Whirl. McCullough’s Bumble Bee ride inspired Galloping Boy Designs T-shirt of an adventurous tabby seeing the sights of Coney Island from the back of a bumble bee. The Bees can also be glimpsed in numerous films and music videos shot in Coney. 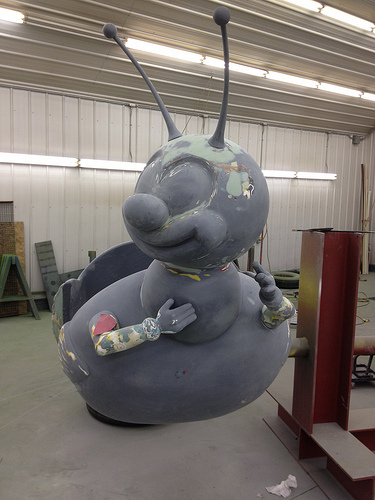 Artist Chris DAZE Ellis, who painted a mural adjacent to McCullough’s Kiddie Park for the Dreamland Artist Club in 2004, pays tribute to the Bumble Bees in his painting Kiddyland Spirits. 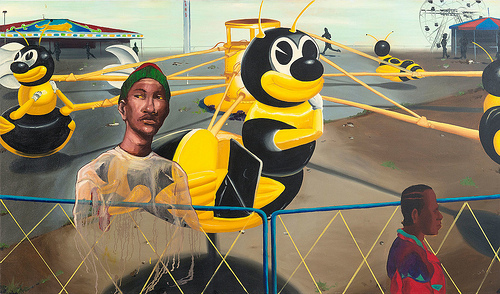 The 1995 painting is among his works currently on view in the touring exhibit Coney Island: Visions of an American Dreamland at the Wadsworth Atheneum. Reithoffer Shows, one of America’s oldest carnivals, is heading to Brooklyn after 11 days at the Staten Island Mall with more than 25 rides. 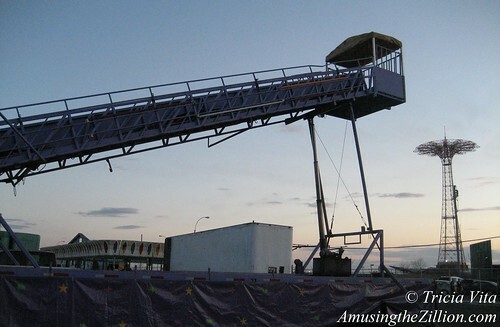 The carnival’s Blue Unit is partnering with Aviator Sports at Floyd Bennett Field for the fifth year of the Kings County Fair, which runs from May 15 through 26. The family-run carnival billed as “The Aristocrat of Show Business” began in 1896 with a steam-driven carousel and is now operated by the 4th and 5th generations. 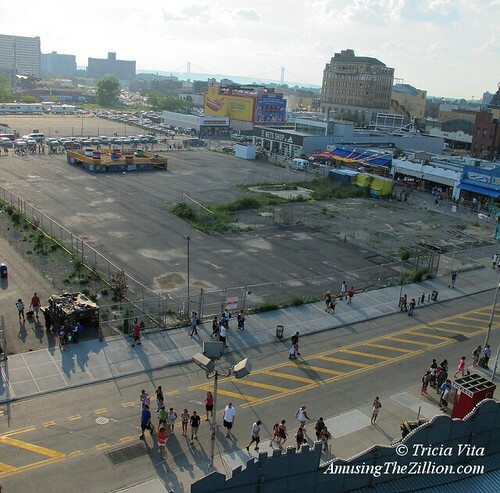 Meanwhile, over the weekend in Coney Island, the “Rumor Mill” was saying that Reithoffer is bringing rides to Thor Equities long-vacant lots on Stillwell from May 15-26 with the option of staying longer if business was good. The source of this “news” was said to be “very reliable.” The rumor began back in March (“Will Rides Return to Thor Equities Vacant Lots in Coney Island?” ATZ), though no specific carnival was mentioned at the time. We’re still skeptical because no one we talked with from Reithoffer’s management knows anything about rides going to Coney Island and it’s the same date as the Kings County Fair. Blue Unit Manager Gary Alberry did allow that since Reithoffer has more than 115 rides, it’s possible some are being sent to Coney, though he’s not aware of it. The Blue Unit also has rides at the Northeast Fair in Pennsylvania and a Virginia K-Mart, while the Orange Unit is playing spots in New Jersey and Maryland, according to Reithoffer’s route list. With Memorial Day Weekend less than two weeks away, if rides are indeed coming to Coney they should be arriving any day. 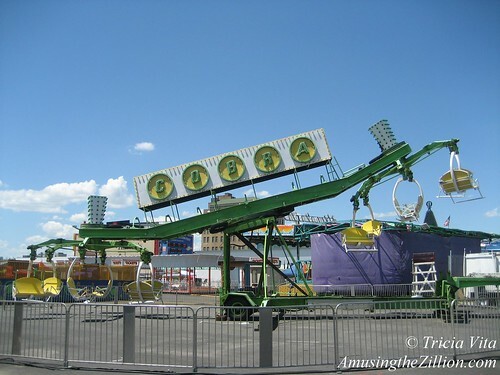 On Memorial Day Weekend 2008, Thor CEO Joe Sitt proclaimed “The Summer of Hope” and filled his vacant lots on Stillwell with carnival rides from Reithoffer Shows for a limited two-week run and Geren Rides till Labor Day. Contrary to the PR campaign, the lots were vacant again by July, when Geren left for his fairs. Will this be Thor’s Summer of Hope, Part 2? The news that Nashville-based string band Old Crow Medicine Show is coming to Brooklyn’s Barclays Center on March 7 reminded us how much we like their carnival-themed music vid for “Wagon Wheel.” Played more than 20 million times on YouTube since its debut in 2006, the video has the band on the bally stage of an old-timey carny girl show, with the girls shimmying up to the musicians as the ticket-seller counts his cash and the Rock-O-Plane whirls on the midway. It was shot in Smyrna, Tennessee, next to Snyder & Metts Amusements, which was owned by Hill Snyder and is now part of carnival history, says a poster on Matt’s Carnival Warehouse. The band members have roots in Virginia and upstate New York, where fiddle player and vocalist Ketch Secor wrote “Wagon Wheel” as a teen. The song took its inspiration from bootleg tapes of Bob Dylan’s “Rock Me Mama” to which Secor added lyrics about hitchhiking to North Carolina. According to music writer Peter Cooper, when Secor sought to copyright the song with Dylan for use on an album, he learned that Dylan credited the “Rock me, mama” chorus to bluesman Arthur “Big Boy” Crudup, and Crudup probably borrowed his idea from an early 20th century recording by Big Bill Broonzy. “That song drags a heavy chain,” Secor told Cooper. “In a way, it’s taken something like 85 years to get completed.” Released in 2004, the song went platinum this year and the band was inducted into the Grand Ole Opry. Tickets for the March 7, 2014 concert at Barclays go on sale Friday, October 18, with pre-sale to fans via OCMS’s website now available. The band’s 2014 tour dates in support of the Avett Brothers also include Boston, Pittsburgh and Fairfax, VA. On December 30 and New Year’s Eve, OCMS will play Nashville’s legendary Ryman Auditorium. We’ve come across vintage circus-style posters advertising carnivals but have rarely seen a painted banner except for the sideshow attractions. This one painted for “Canada’s Traditional Favorite Conklin Shows” circa 1950 by master banner painter Fred Johnson will be up for bid at a June 8th auction in Oak Park, Illinois held by Treadway Gallery. 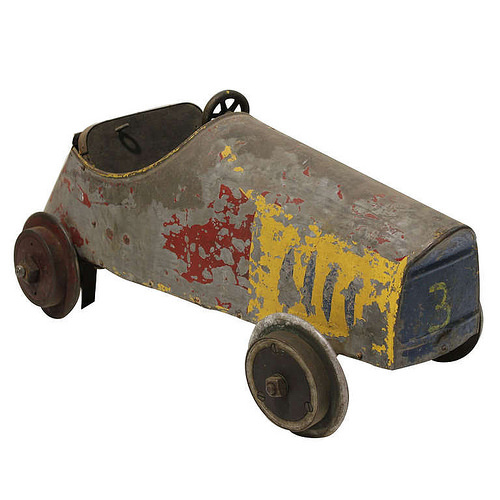 Bidding is also available online via live auctioneers. The show’s founder J.W. “Patty” Conklin was born Joe Renker in Brooklyn and worked as a sideshow talker in Coney Island before arriving in Winnipeg in 1924. In the 1940s and ’50s, the Billboard frequently described him as “a Canadian midway biggie” and one of the keenest, most practical of midway operators. 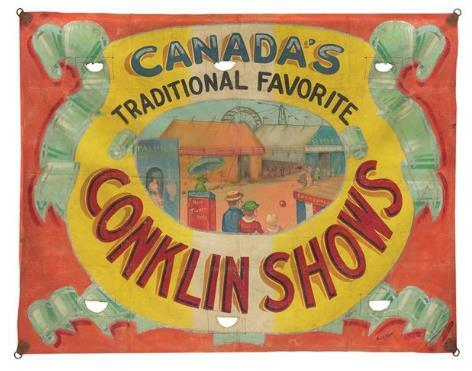 In the era when the banner was painted, Conklin Shows played fairs and exhibitions in rural Quebec and Ontario before heading to Toronto’s Canadian National Exhibition for Labor Day, according to a website on the carnival’s history. 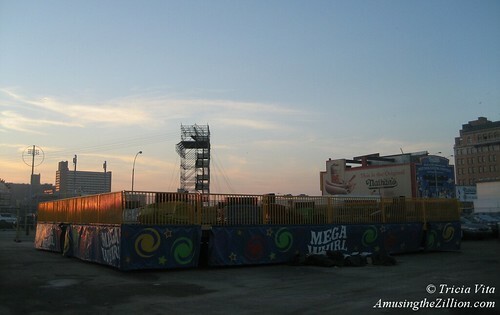 The show grew to become the largest touring carnival in North America, with a route that stretched from the South Florida Fair in West Palm all the way to the Calgary Stampede until it was swallowed up by midway consolidation in 2004. In the Northeast, Conklin played the Eastern States Exposition in Springfield, Mass., and the now defunct Westchester County Fair and Belmont Fair, where we visited in 2003 to write a story for Education Week about the show’s traveling classroom for carny kids. Measuring 94 inches high by 117 inches wide, the Conklin banner is signed by Fred Johnson, who painted canvas advertisements for all the big circuses, carnivals, and amusement parks during an illustrious 65-year career. It has a pre-sale estimate of $3,000-$5,000. 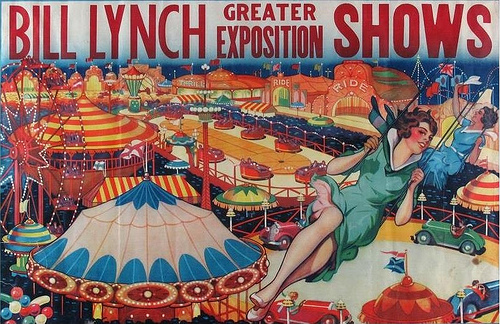 This vintage advertisement for Bill Lynch Greater Exposition Shows recalls the days when some big carnivals had bill posters lining fences and filling windows with circus-style paper ahead of the show’s arrival. The artist’s fantastic aerial view of the midway features a beautiful girl whirling on a chair-o-plane high above the other amusement rides. Measuring 25 inches high by 38.5 inches wide, the one-sheet was printed by Erie Litho & Printing Company in Pennsylvania. It’s up for sale on March 17 at Hall’s Auction Services in Calgary with online bidding available. The pre-sale estimate is $1,000-$1,500. According to an article in the Billboard, Lynch was a Nova Scotian who bought his first amusement ride–a steam-powered merry-go-round that operated on his native McNab Island– in 1920. He was just 18 years old. 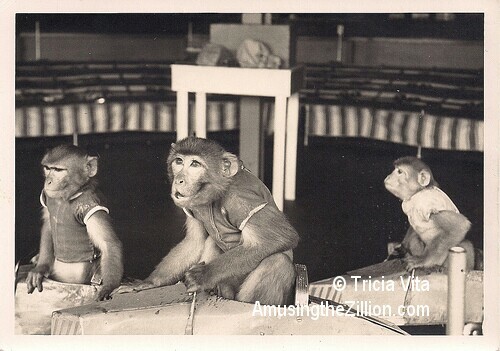 By 1928, Lynch had his own traveling carnival playing still-dates with a merry-go-round, Ferris Wheel, chair-o-plane, three shows and a string of concessions. Bill Lynch’s big break came when he won the bid to bring his carnival to Nova Scotia’s Halifax Exhibition in 1929. 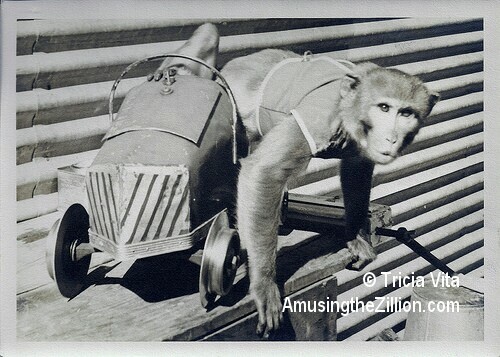 The contract required seven rides and seven shows. Over the winter and spring, Lynch managed to double the size of his midway by borrowing or buying equipment and the show opened to great fanfare in Halifax. In 1935, it took 14 railroad cars to transport the carnival, which by then was also touring Newfoundland, Prince Edward Island and New Brunswick. The March 17th auction at Hall’s consists of items from the 40-year personal collection of “Canadian Picker” Scott Cozens. The auction will be filmed for a future broadcast of “Canadian Pickers” on the History Channel.